Spend 2 days on Fraser Island and 2 days in the Whitsundays with our 4 Day Entice Whitsundays & Fraser Explorer combo. 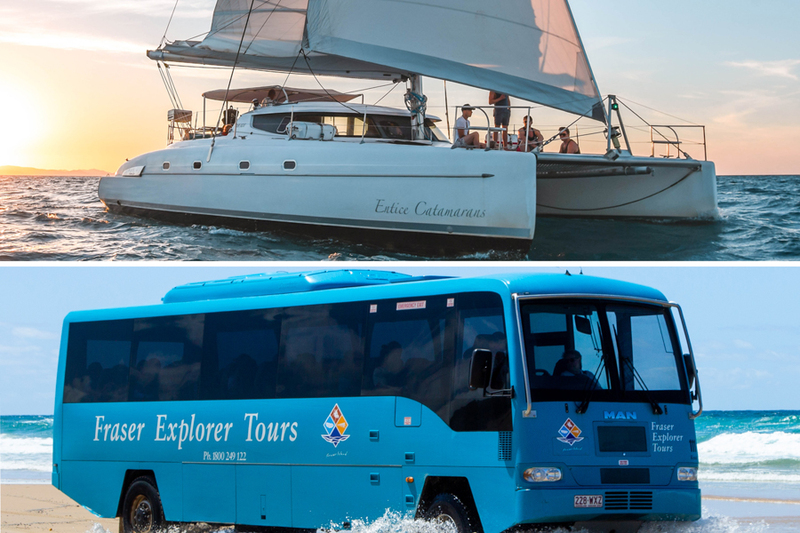 Featuring a 2 day, 1 night tour on Fraser Island with Fraser Explorer and a 2 day, 2 night sailing tour on board the beautiful Entice Catamarans, this tour will allow you to relax and explore on one amazing combo tour. Take along your camera and sense of adventure and get ready for the tour of a lifetime. Sit back and relax as you cruise through the beautiful expanse of Fraser Island - the world's largest sand island. During your guided tour you will venture around Fraser Island, checking out all the amazing things it has on offer, stopping at all the best locations. Explore the beautiful and unique Fraser Island with this relaxing yet exciting tour with Fraser Explorer. Visit all the islands top destinations to really understand what the excitement is all about and get to know Fraser Island for yourself. 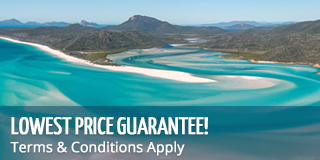 Entice offers the perfect way to explore the Whitsundays! From on board your comfortable and stable catamaran, you will get to make your way around the Whitsundays, checking out all its best parts! Not only will you experience the thrill of sailing, but with Entice you will also have comfortable onboard accommodation during your 2 night stay as well as the added perks of paddleboarding, canoeing and snorkelling! If you want to explore the Whitsundays with the extra comfort and stability of a catamaran, Entice is right for you. There is no better feeling than sailing around the beautiful Whitsundays as you sit back and watch the world go by. Please note you must make your own way between the Whitsundays and Fraser Island. Be sure you allow enough time for travel.